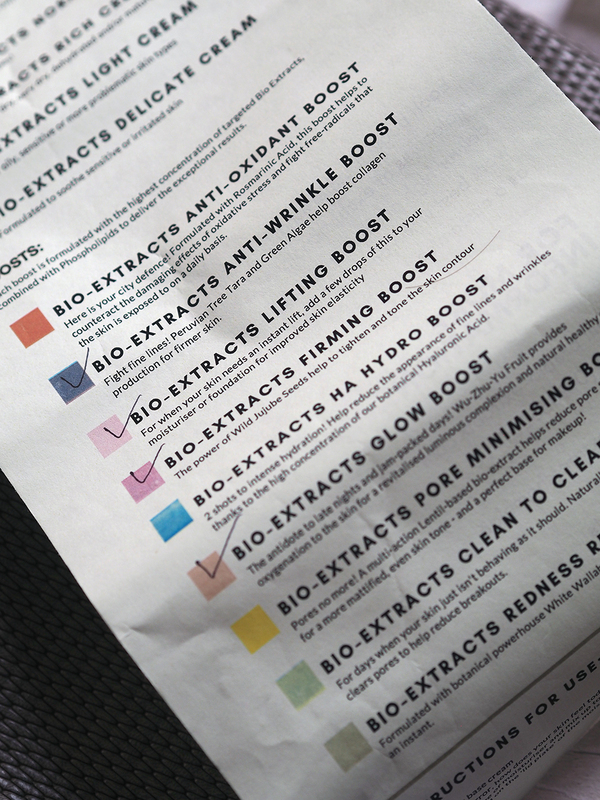 BIO EXTRACTS USES THE LATEST BIOTECHNOLOGY TO DEVELOP CREAMS & BOOSTERS FOR YOU TO COMBINE AT YOUR HOME. 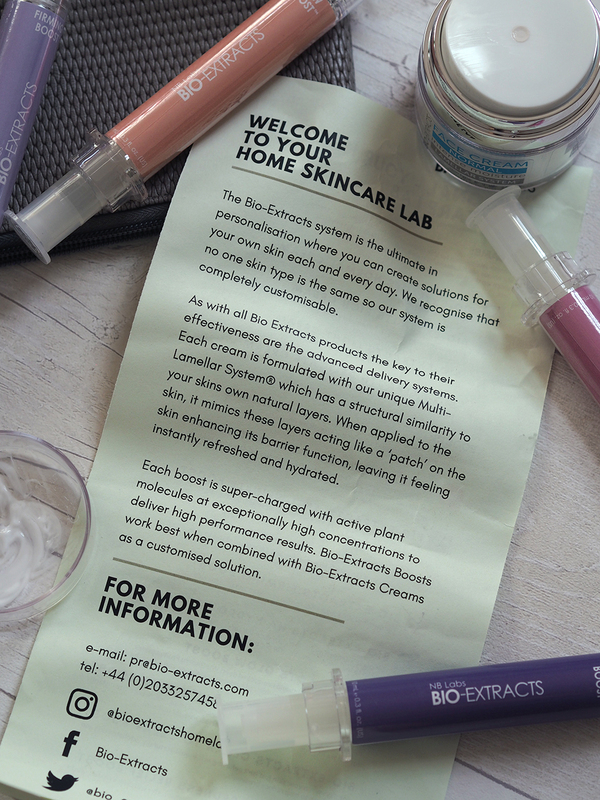 So take your cream, mix your booster and et voila, your very own bio moisturisers just for you! 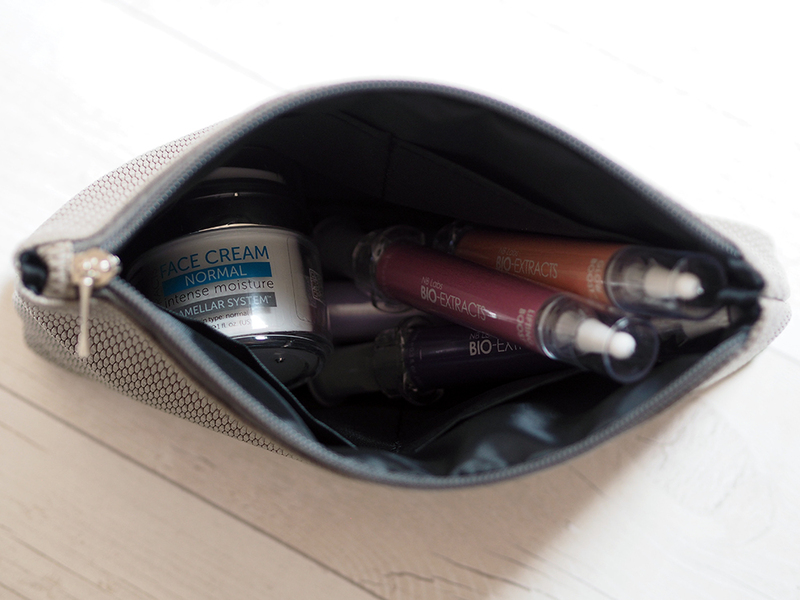 You can mix and match your boosters and creams to tailor to you skins needs, as I have fairly good skin I decided to go for the Normal Bio-Extracts Multi-Lamellar System®, however you can also choose Light and Rich. 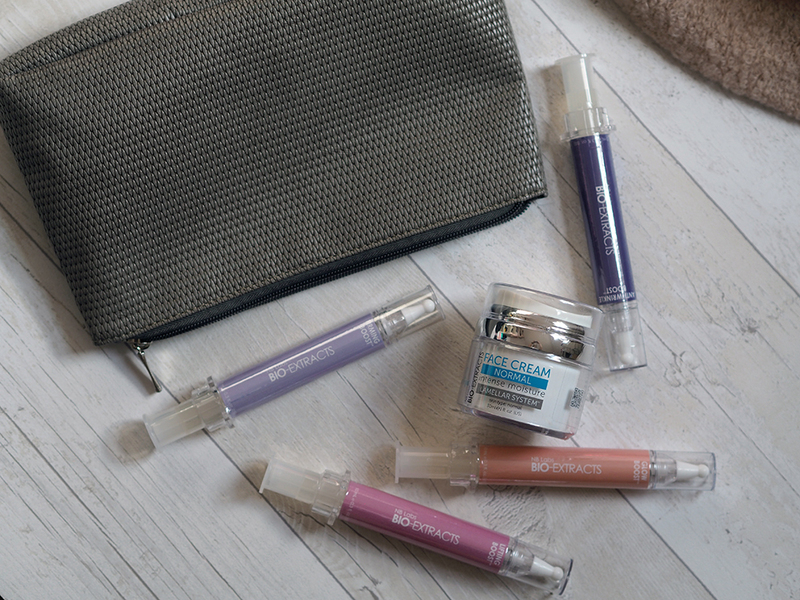 There are a good range of Boosters to pick from too, but for myself I went with Anti-Wrinkle, Lifting, Firming and Glow as I feel as though these are the areas my skin can sometimes need a little help with, especially the Anti-Wrinkle one, or as I like to call them, laughter lines! 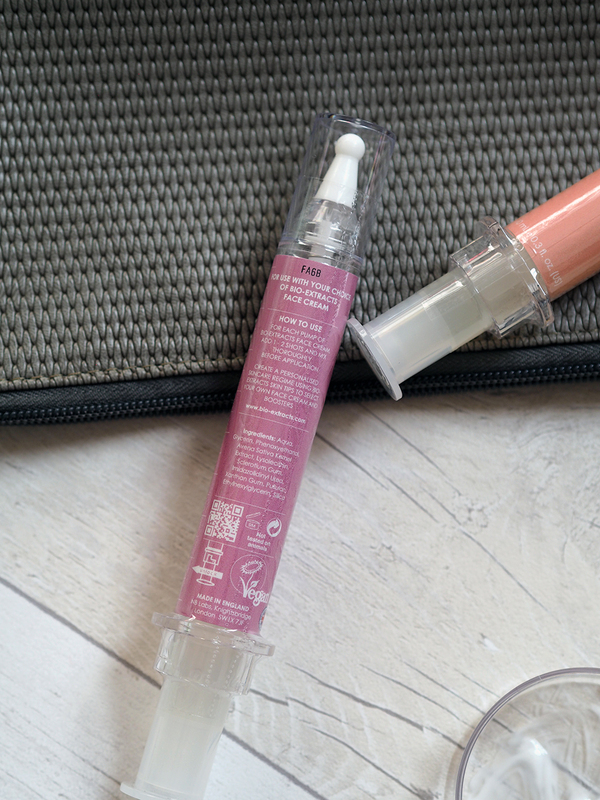 This natural face cream is full of all that good organic stuff (click here to see ingredients) and if you love your vegan face creams then this ticks that box too. 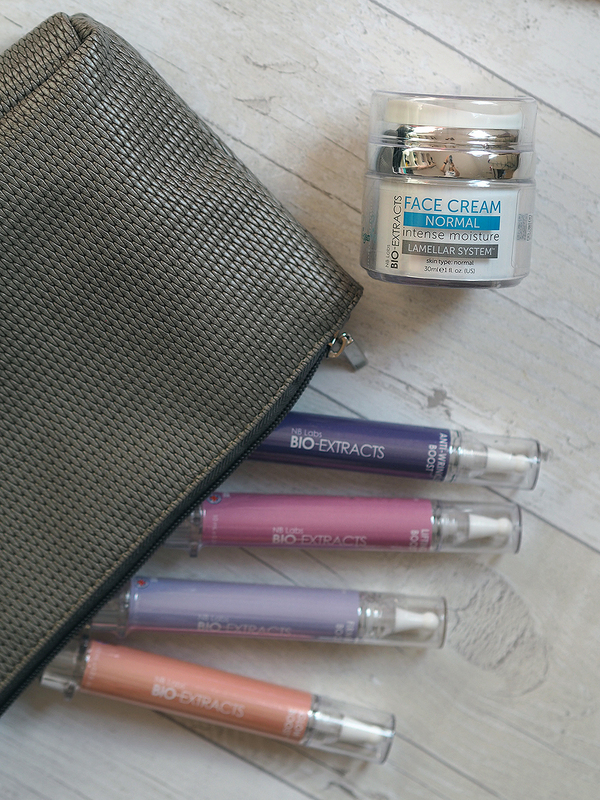 All Bio-Extracts products have a unique texture – non-greasy, rapidly-absorbed, amazingly smooth and gently cooling. Due to the lamellar emulsion formulations, the consumer experiences a silky, smooth after-feel, without the negative traits associated with a traditional oily cream. 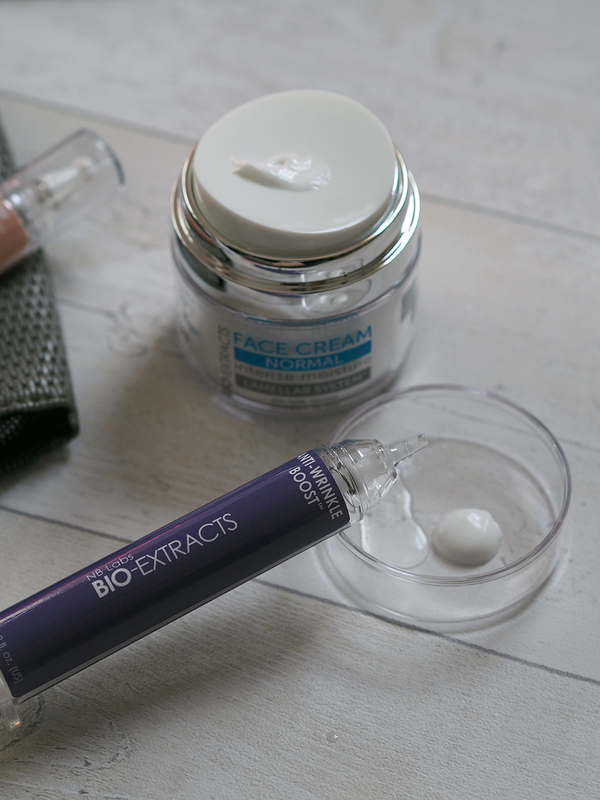 So if you're looking for hydrating skin boosters then Bio-Extracts is just what you need! You can buy Bio-Extracts online and and on QVC.